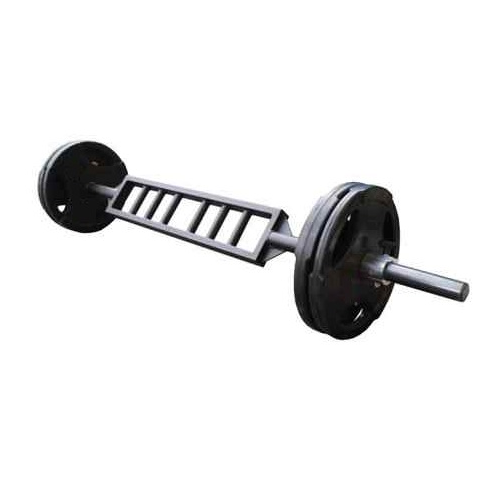 This versatile, multi-function Swiss bar is great for all forms of Pressing/Rowing and Arm Work. The Neutral Grip on the Swiss Bar offers a great variation to the usual straight bar grip while also reducing shoulder strain. Athletes with existing shoulder injuries have found that the AmStaff Fitness Swiss Bar allows them to train around the injury with a minimum of 'down time'.The AmStaff Fitness Swiss Bar fits in a Power Rack and will handle 700lbs with ease.